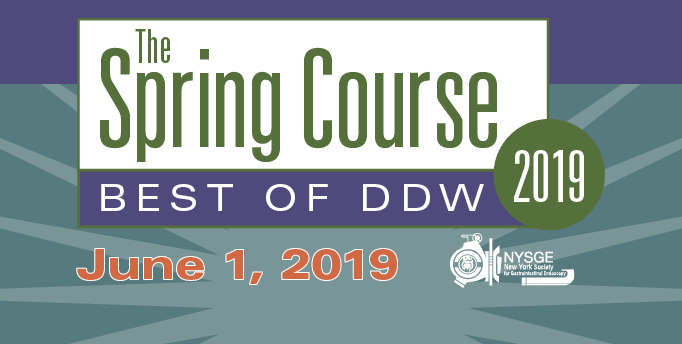 Now in its seventh year, The Spring Course: Best of DDW 2019 is designed for practicing gastroenterologists, gastrointestinal endoscopists and surgeons, GI fellows, and GI nurses and associates. Last year, nearly 200 GI professionals attended this outstanding program. Log into the website using your company's Industry Partner profle (which was created to reserve space at the 2018 Annual New York Course). There is only one Industry Partner permitted per company (or company division) and only the Industry Partner may reserve exhibit space. If you need to recover your company's Industry Partner User Name and Password, please contact Exhibit Manager Robin Weidy at rweidy@nysge.org. If your company does not have an Industry Partner profile, one must be created before reserving exhibit space. The Industry Partner profile looks like a Membership Application. The first field is Membership Options. Be sure to choose Industry Partner from the dropdown menu. Do not choose Active Member or Trainee Member. Click Here to create an Industry Partner profile. Login to the website with your Industry Partner profile, then access the Reserve Exhibit Space page and enter the required information to reserve exhibit space for The Spring Course: Best of DDW 2019. Payment in full is required by April 30, 2019. This activity is presented through the joint providership of the Albert Einstein College of Medicine and the New York Society for Gastrointestinal Endoscopy. This activity has been planned and implemented in accordance with the accreditation requirements and policies of the Accreditation Council for Continuing Medical Education (ACCME) through the joint providership of the Albert Einstein College of Medicine and the New York Society for Gastrointestinal Endoscopy. The Albert Einstein College of Medicine is accredited by the ACCME to provide continuing medical education for physicians. The Albert Einstein College of Medicine designates this live activity for a maximum of 5.0 AMA PRA Category 1 CreditsTM. Physicians should only claim the credit commensurate with the extent of their participation in the activity. This activity has been submitted to the Northeast Multi-State Division for approval to award contact hours. The Northeast Multi-State Division is accredited as an approver of continuing nursing education by the American Nurses Credentialing Center's Commission on Accreditation. Maine, New Hampshire, New York, Rhode Island, Vermont Nurses Associations are members of the Northeast Multi-State Division of the American Nurses Association. This educational activity has been submitted to the Certification Board for Sterile Processing and Distribution, Inc. (CBSPD) for continuing education credit toward maintenance of certification.